Back to School means fall is on the horizon. We gladly welcome the changing of the seasons from the fiery hot summers to the cool fall breezes. 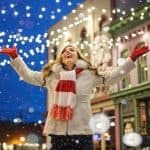 However, we know that after crisp fall mornings, we will undoubtedly be experiencing cold winter nights. When winter sets in, our kiddos need to be bundled for bus stops, playgrounds, and outdoor fun. 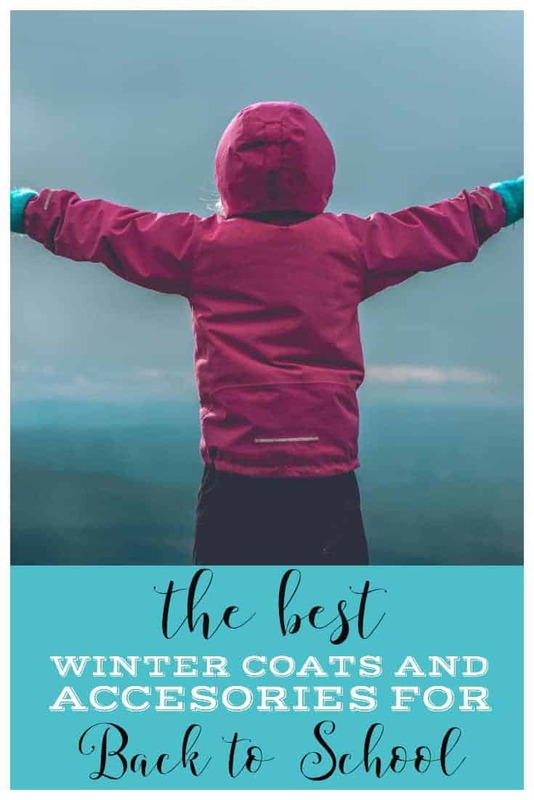 Here at Daily Mom, we've found the best winter coats accessories for Back to School. 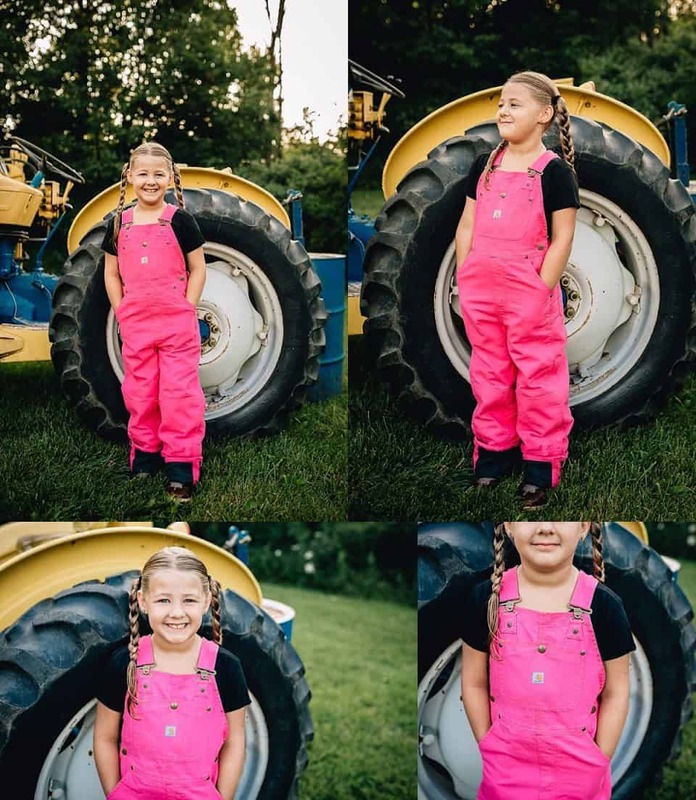 On the clothing front, the Girl's Pink Bib Overalls are a great option to send her to school wearing, and you know that she'll be comfy and warm all day long. They are 100% canvas, and quilt lined for extra warmth. 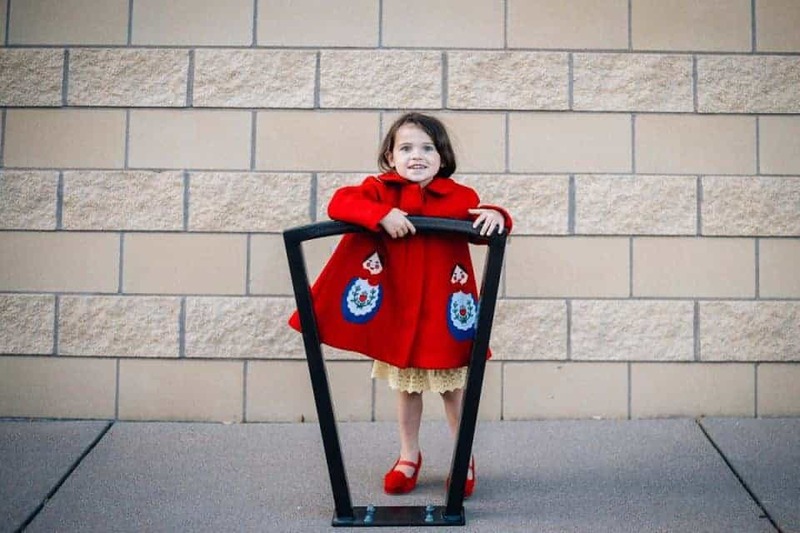 They also feature a zipper from the knee to toe that adjust easily, so your daughter can get them on and off easily, as well as add layers to, such as snow boots or snow pants. 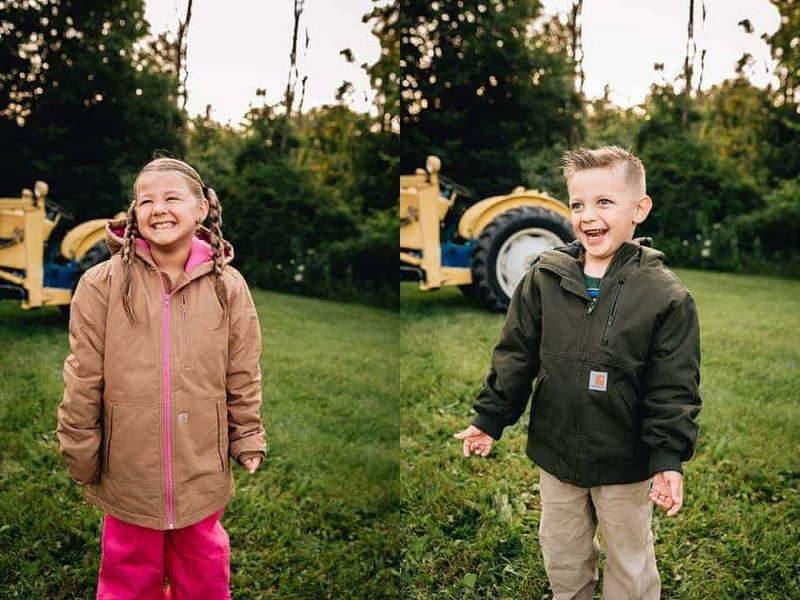 They also have a stylish pocket in the front with the classic Carhartt sticker label, adjustable straps meant to grow with your child, and utility pockets. 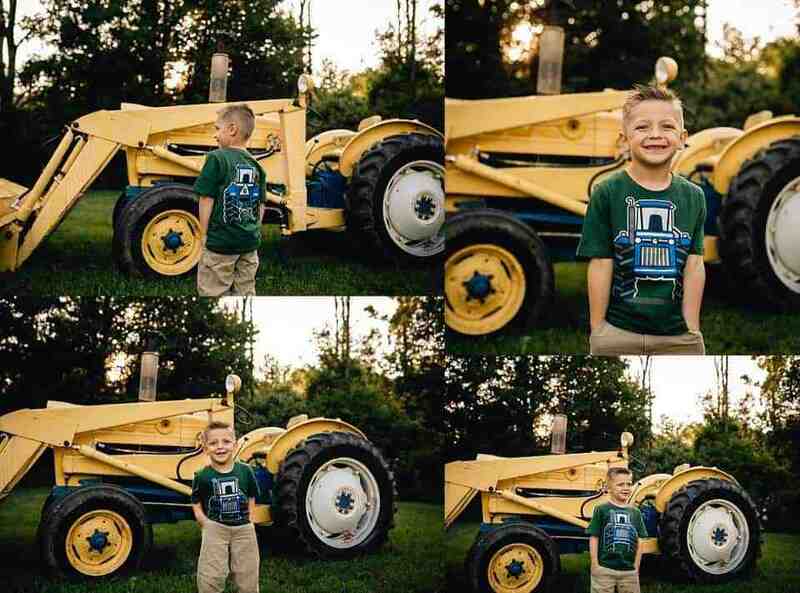 The Boy's Tractor T-Shirt is 100% cotton jersey material, and has a cute tractor graphic printed on the front and back of the shirt. If your child is a tag-hater, Carhartt t-shirts also feature a stylish woven label on the front hem, and a printed label inside the shirt. And you can't forget to pick something up for yourself in the back to school shopping endeavor, and finding the perfect chambray shirt is always a wardrobe staple in mom's closet. The Women's Fairview Solid Shirt is just that- the perfect chambray shirt. You can roll up your sleeves and get to work in this relaxed fit shirt that is 100% cotton chambray. The long sleeves can be rolled up to 3/4 length and secured with a button tab. It has two chest pockets for utility, and one of them has a pen stall. The drop tail hem is flattering, and long enough to cover your backside so you can wear it with those leggings for a casual look, or button it up and dress it up with some black jeans or pants. 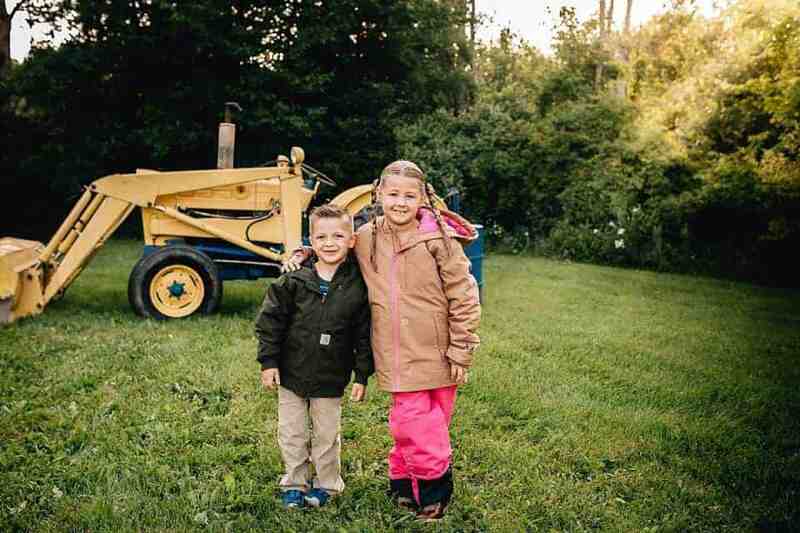 And, like everything that Carhartt makes, they are 100% owned and operated in the U.S.A.; proudly hailing from one of the countries top industrial city full of grit and determination: Detroit, Michigan. 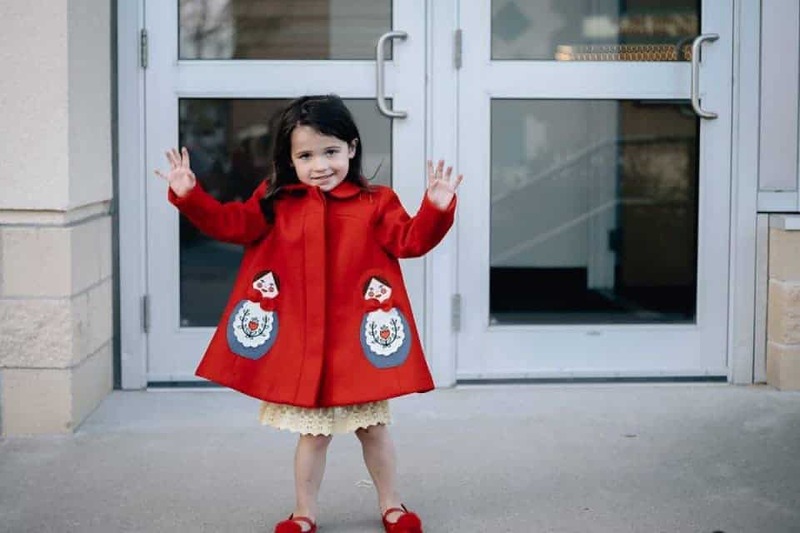 Your little one will be the talk of the carpool lane when they show up for school wearing the Matryoshka Coat from Little Goodall. 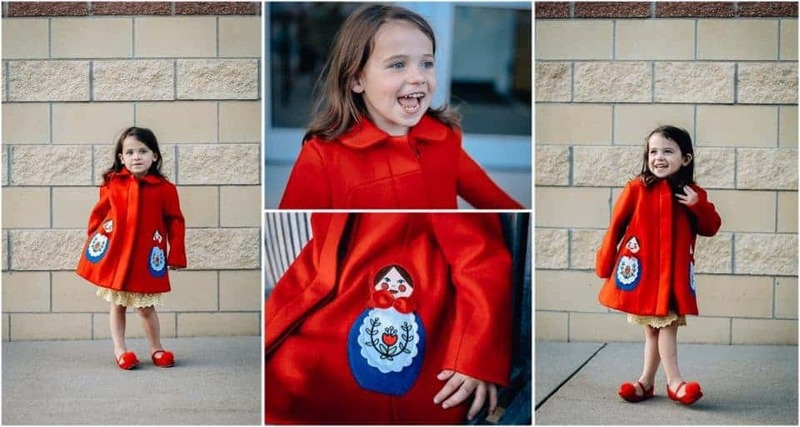 This adorable swing coat comes in a fashionable red and is adorned with two appliquéd Matryoshka dolls. 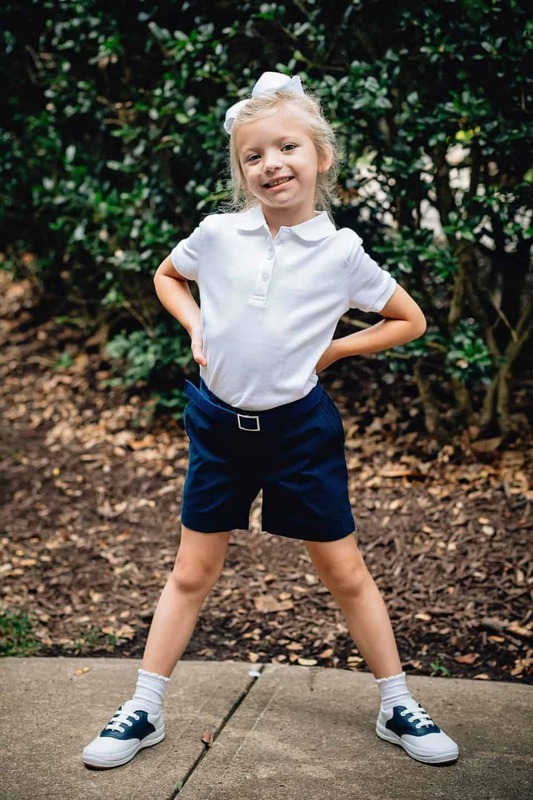 The peter pan collar at the top makes it classic and elegant, while the hidden buttons allows the full focus to be on how beautiful your princess looks alongside this wonderful pop of color. 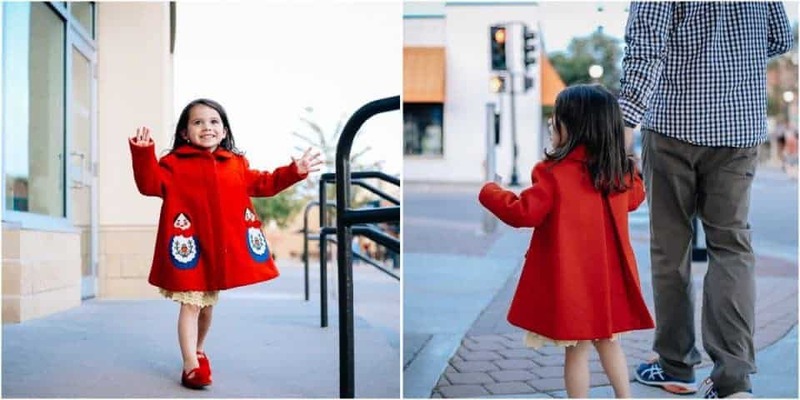 This brilliant red coat comes in sizes 2T - 8, so can easily fit the special girl in your life. Because it is made of 100% wool, it will keep her nice and toasty warm through the chilly fall evenings and well into the winter. 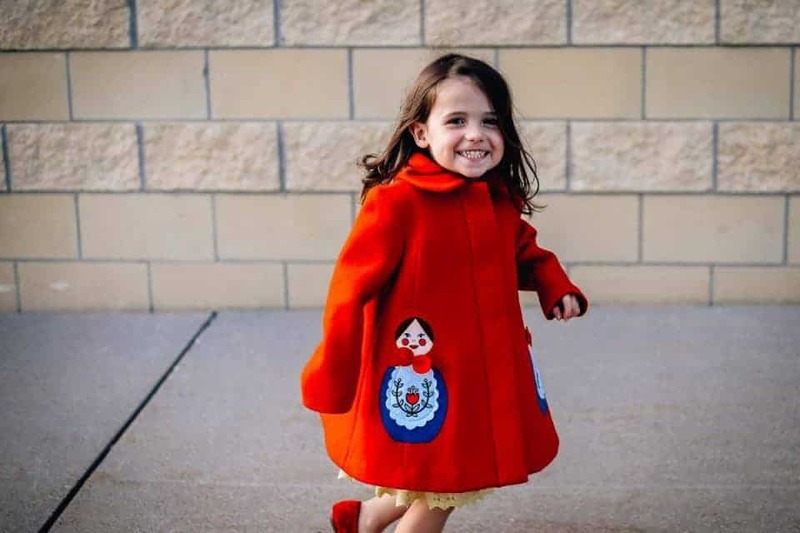 With several designs to choose from, Little Goodall offers an assortment of cute coat options. 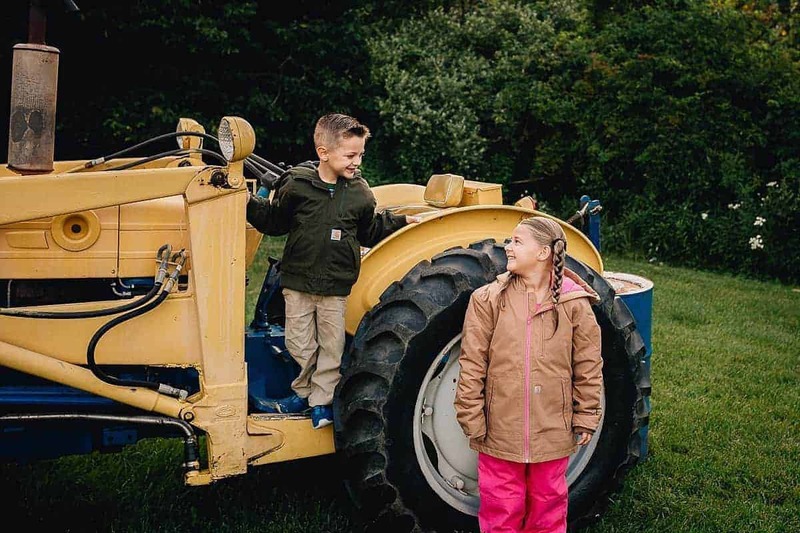 In addition to coats, they also create clothes for both boys and girls that are artistically designed and full of personality. 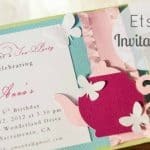 Each creation is lovingly made and bursting with adorable handmade qualities. 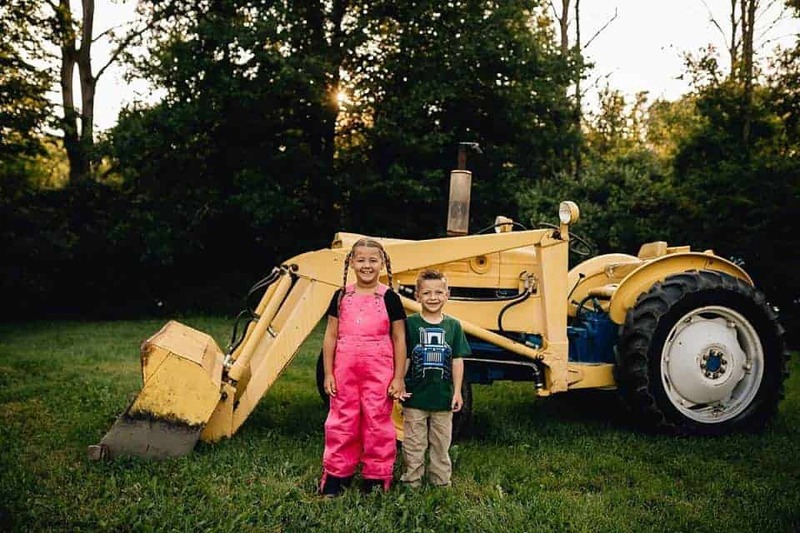 In addition to Little Goodall's fabulous creations and exhilarating concoctions of design and style, there is a simple story behind their start. Lovingly inspired by the designer's son, artist Molly Goodall wanted her son to have a hood that he wouldn't refuse to wear. One lion hat later, and a company had begun. 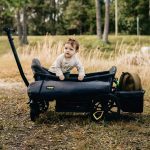 From her home in Texas to your doorstep around the world, this family owned business puts love into all of their products. It is evident by the quality in their work and the personal touches when it arrives at your house. Little Goodall may be your new favorite Etsy shop, because one quick scroll through their goods and you'll be hooked. 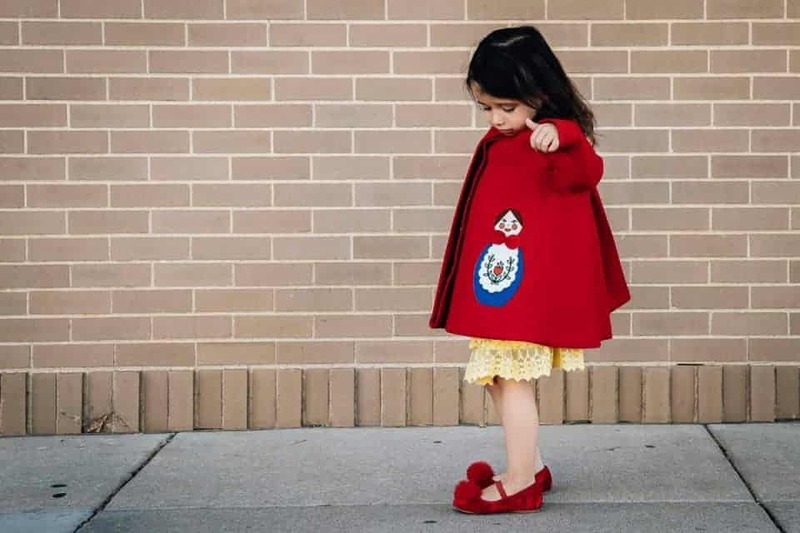 When it comes to handmade clothing and unique designs for children, there is no one quite like it. 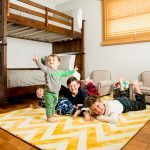 As kids head back to classrooms this fall, they don't have to leave their furry friends behind. 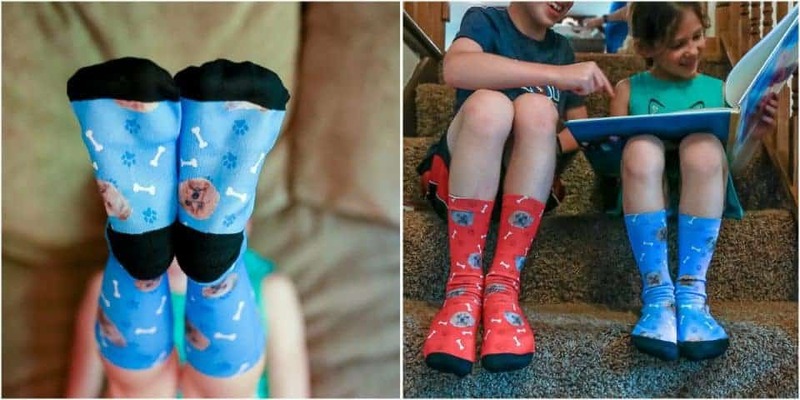 They can tuck them neatly into their sneakers and adorn their legs with these precious custom pet socks. 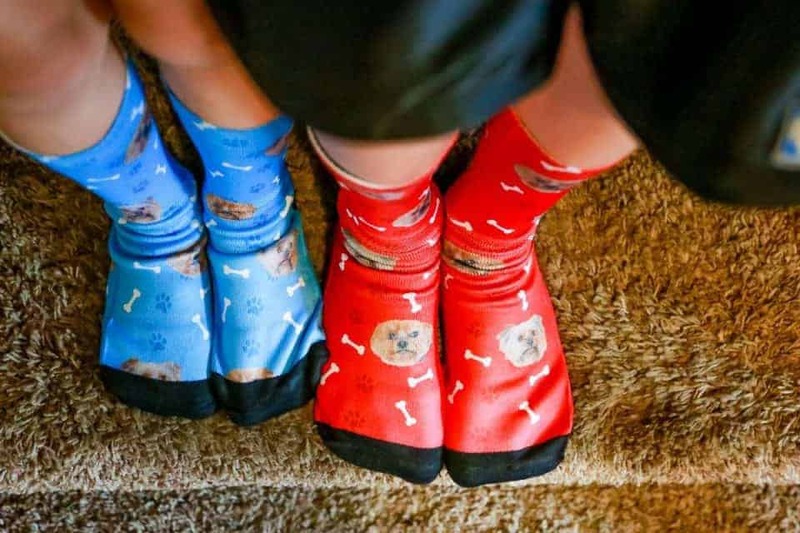 Whether your favorite pet is home to greet you at the end of the day, miles away from your college dorm, or already crossed the rainbow bridge, one look at these socks and you'll feel like they are near. 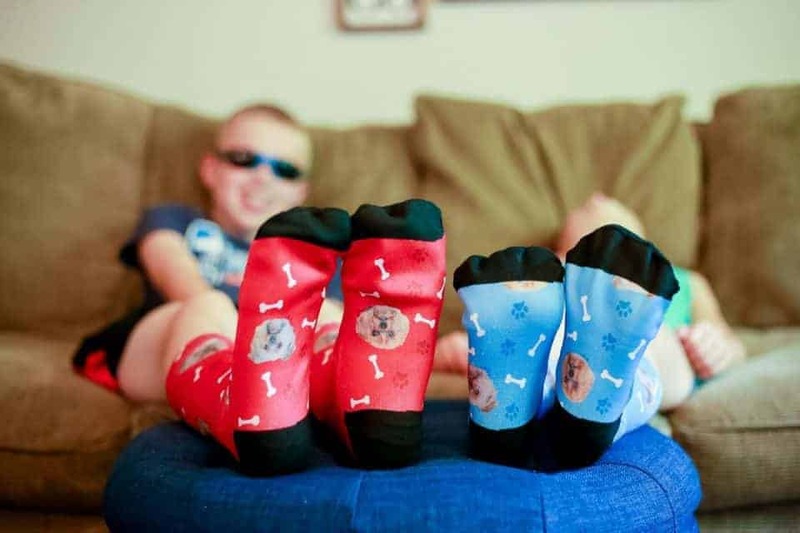 Pup Socks are a breeze to order and get delivered to homes quickly. For folks with more than one pet that they love, fear not. 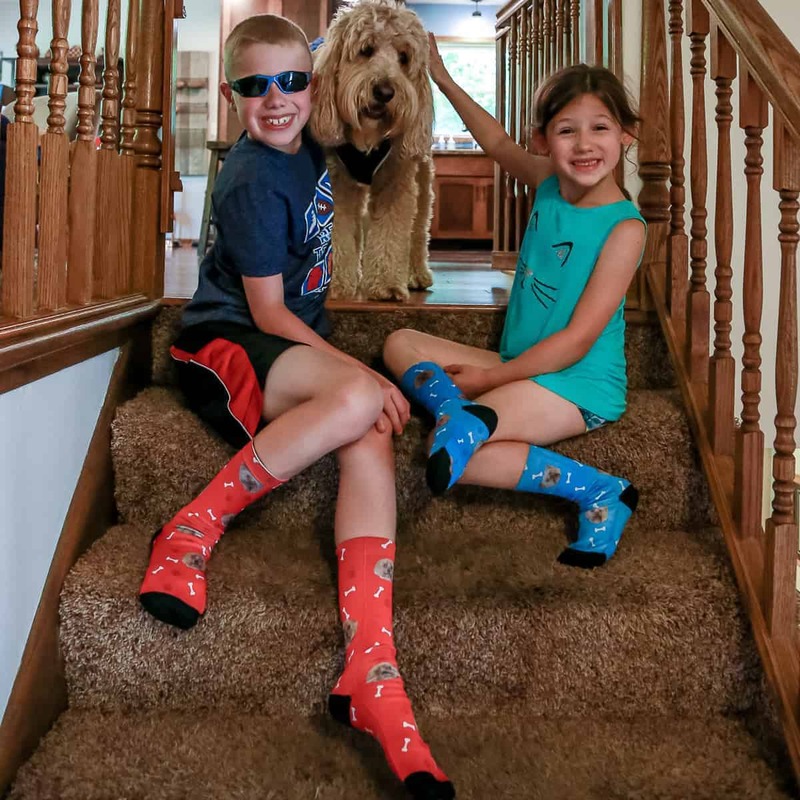 Pup Socks can print up to two faces per sock. To top it off, customers don't need to worry about an exact crop before submitting their photo. 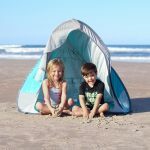 Simply upload a picture using the easy online order form and photographs will be personally cropped and made perfect. 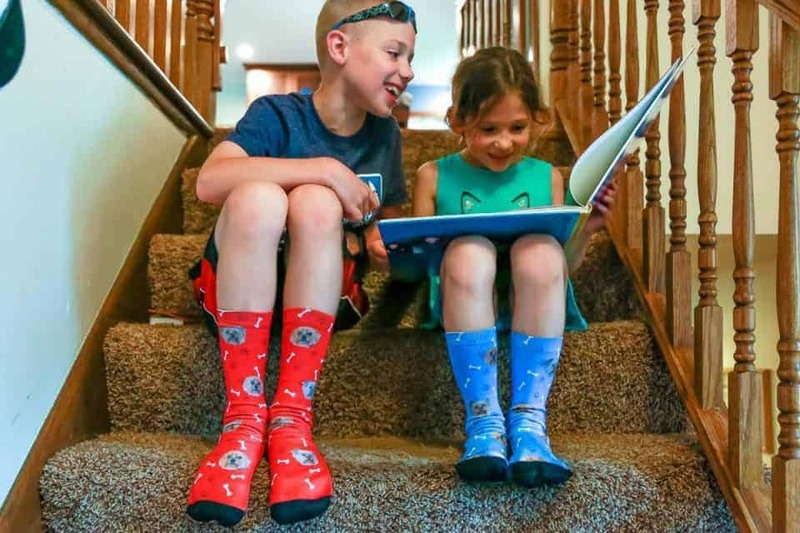 Don't stop at adorable socks for all of your back to school needs. 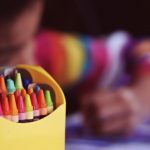 PupSocks also offers coffee mugs for teachers, blankets for nap time, and even Pup Totes to carry books, school supplies, or after school activewear. If you're looking for the perfect way to complete your ensemble, look no further than customized pet shoes. These ultra cute purchases will do more than get you noticed around the halls. Each purchase made also goes to helping animals in need, with profits going towards two different organizations that help animals survive and thrive. 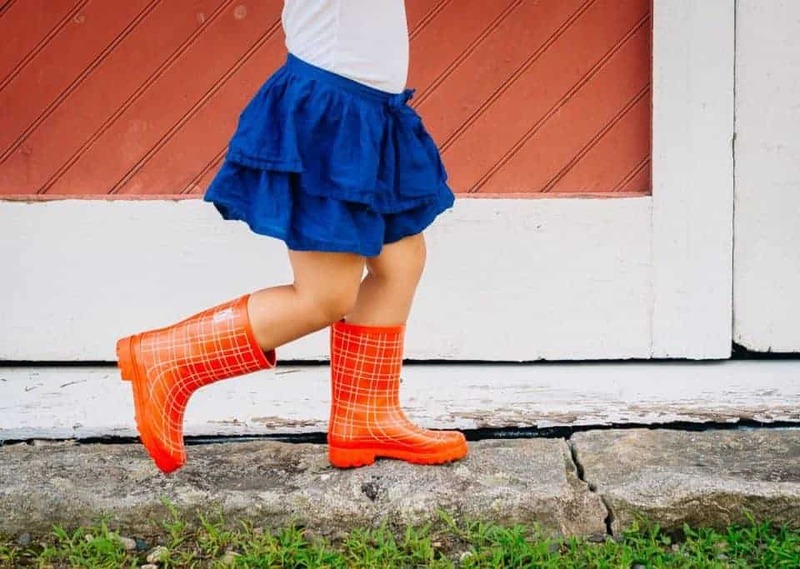 There's a new brand of trendy rain boots in town, and it's London Littles. Inspired by the sights and culture of London, these durable boots are available in fresh twists on classic styles. 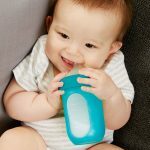 Easy to clean, easy for your child to put on by him or herself (best part ever! ), and you can pick from their selection of bright, unique, colorful prints. Choose from bold reds, yellows, blues, pinks, and florals (we'd be lying if we said we didn't want every single print!). 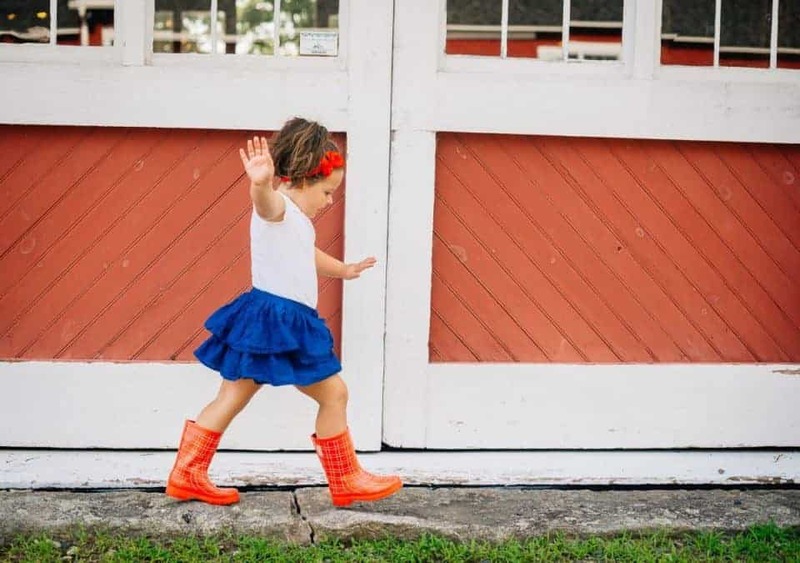 Is there anything better than the joy of getting your little one into rainboots, and watching the sheer excitement of puddle splashing? Or exploring through mud, or walking the beach on a fall afternoon, or dancing in the year's first snow. Each pair is cotton-lined and designed in the USA. 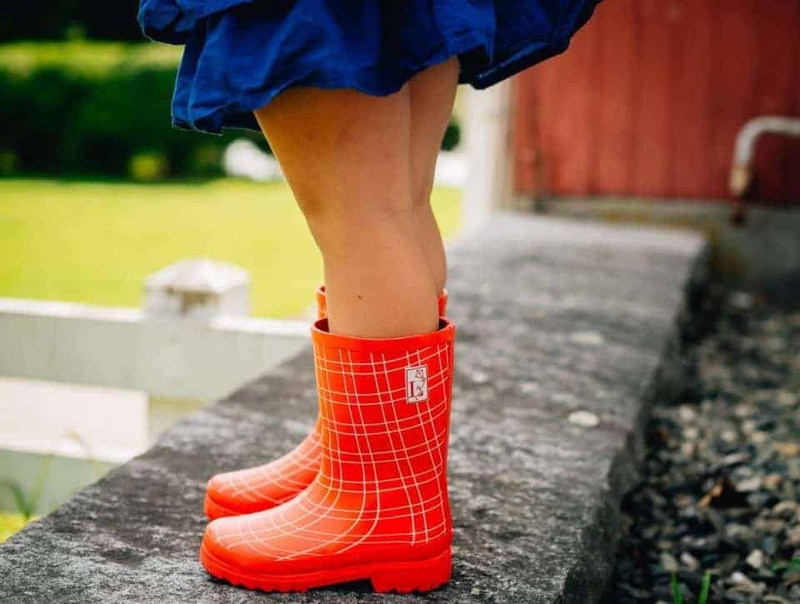 Your child's London Littles natural rubber rain boots will arrive in a drawstring backpack, and the boots are hand-finished. So, each pair is perfectly unique, just like your little one. Newly Potty Trained - Without the added bulk of diapers, pants that once fit are now looser and may require a belt. Additionally, kids at this age need to quickly undo their pants. 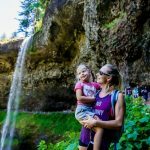 Fast-Growing Toddler - Children grow at different rates; therefore a 2T pair of pants might fit in length while still being roomy in the waist. Adjustable waists help but a belt is way cuter. 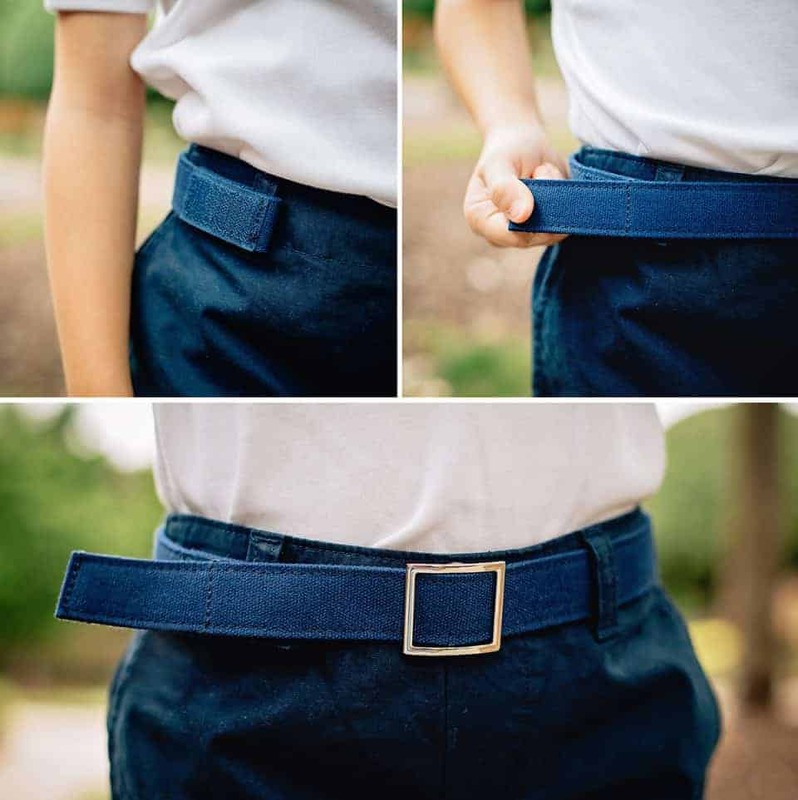 Independent Student - Perhaps your kindergartner or first grader is heading off to school, but hasn't quite mastered buttoning their pants, much less fastening and unfastening a belt on their own. 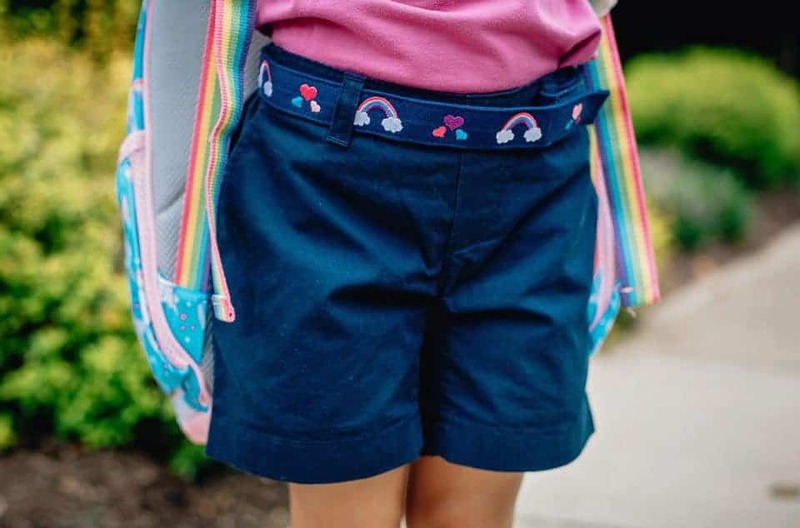 Whatever the situation, Myself Belts allows kids to unfasten their belt quickly and with one hand, creating a lot of confidence and independence. 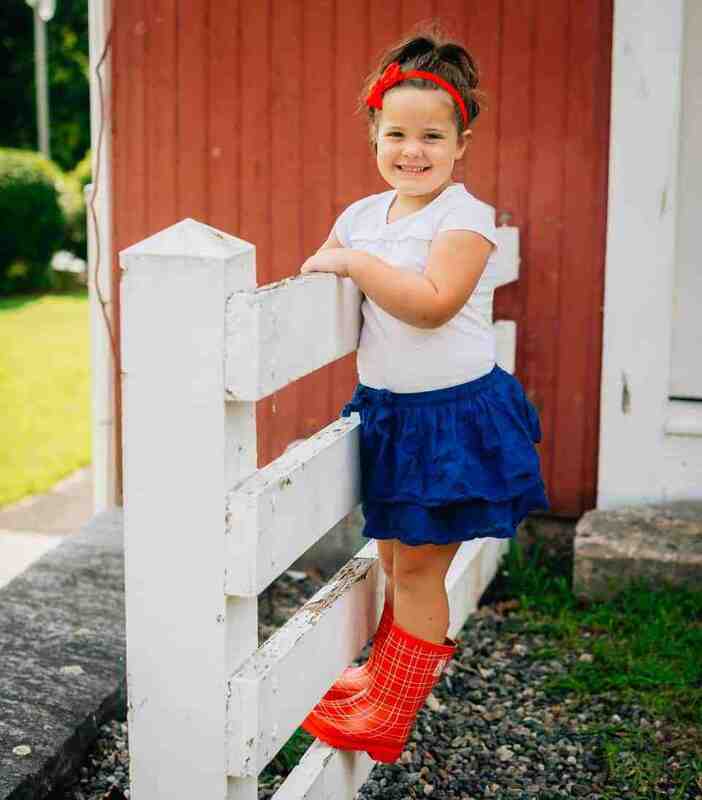 While there are plenty of solid canvas and leather options, Myself Belts offers many kid-friendly styles and themes such as rainbows (as seen above), camouflage, sports, cars, cupcakes, polka dots, and stripes. 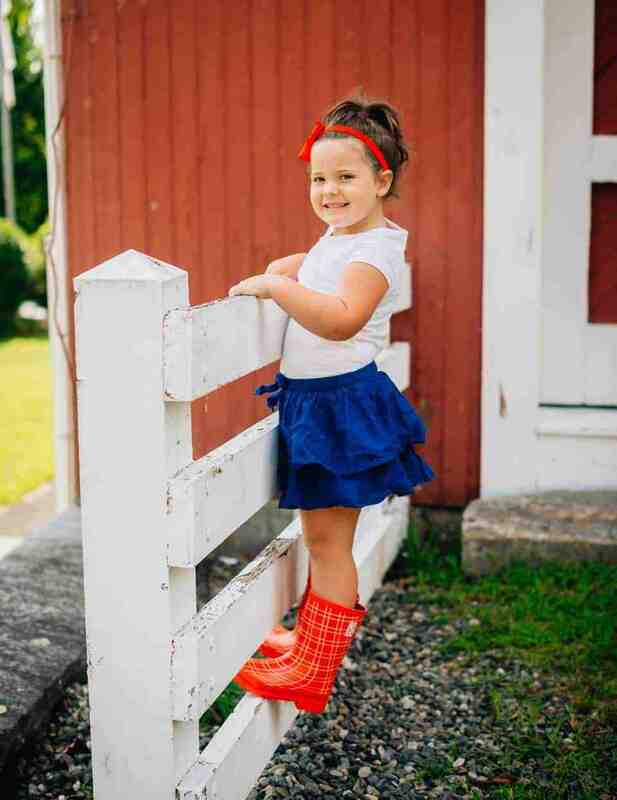 These adorable styles are the perfect accessory for any child's outfit. 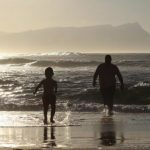 SNAP - When facing your child, SNAP the end of the belt around the front right belt look (child's left), keeping the Velcro facing out. SLIDE - Like any belt, SLIDE the rest of the belt through the belt loops. 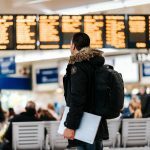 SECURE - Join the ends together to SECURE closure. 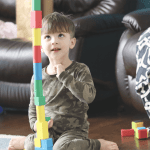 Your child would do this step on their own throughout the day. If you prefer the look of a traditional belt, you can add a square or heart slide on the buckle. You can also personalize the belt with your child's name or monogram. 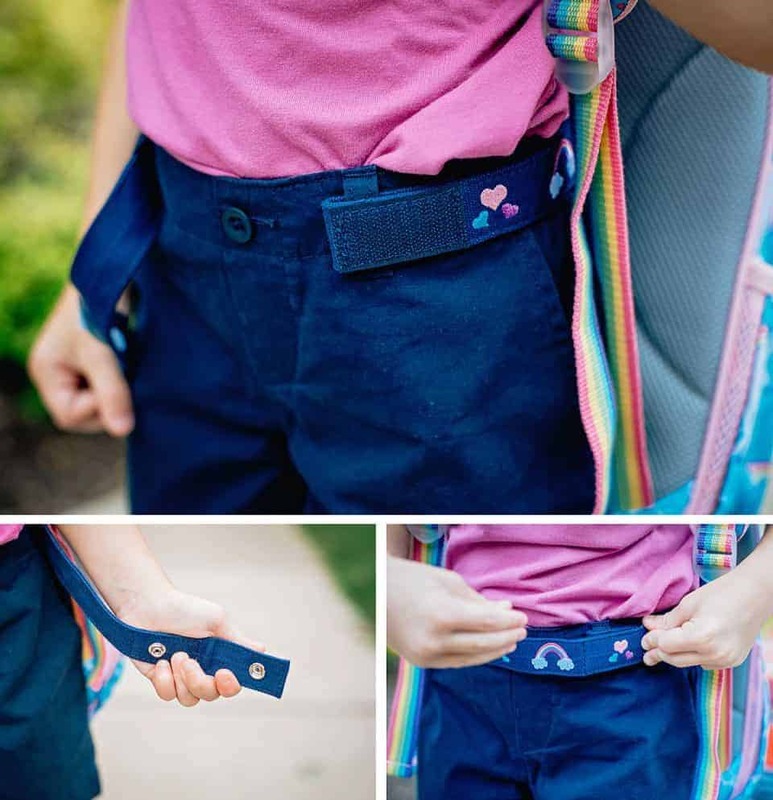 This mom-invented product, recently seen on ABC's Shark Tank, is a no-brainer for back-to-school as it really is the easiest belt on the market to fasten for kids aged 2-12 and makes dressing a cinch! 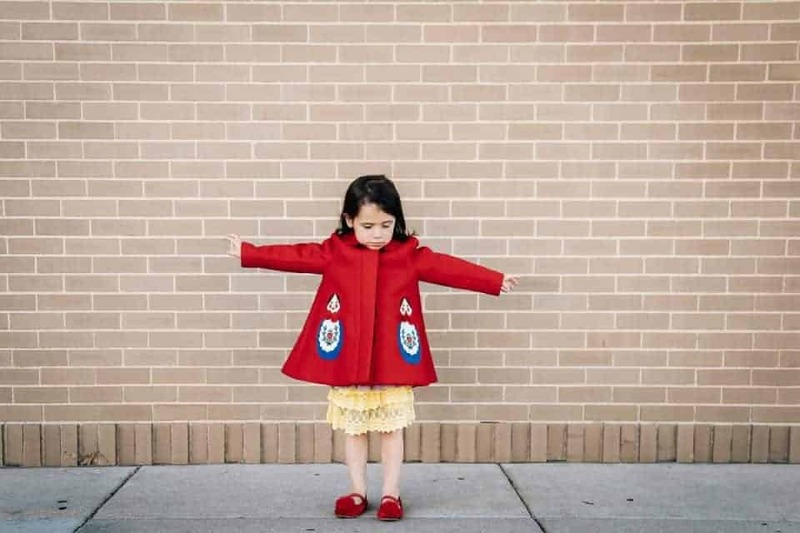 As we embrace the back to school season- fill up your cup with pumpkin spice, embrace the chilly mornings, and bundle your little one with these winter coats and accessories. 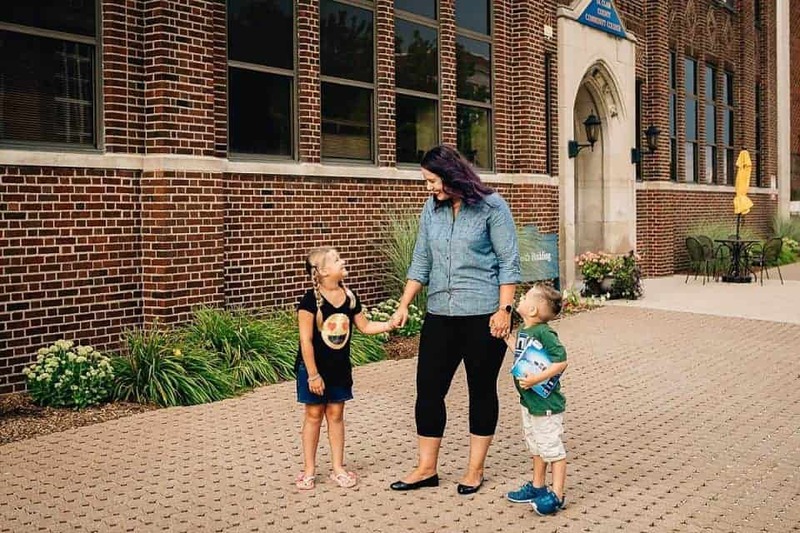 You (and your little one) will rock this school year. 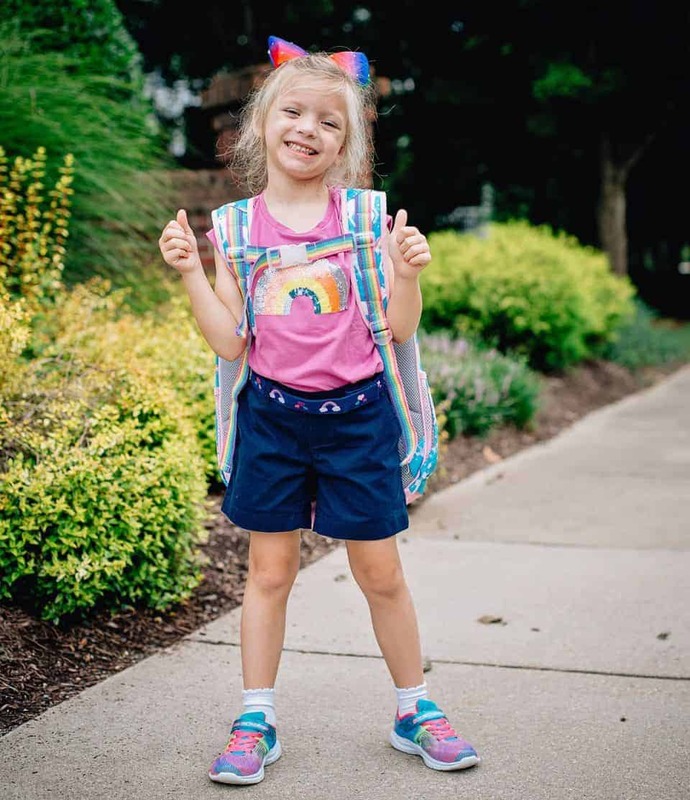 Check out more of our Favorites with for Back to School with our Back to School Guides.